There’s an elephant in the room of the city’s public-housing woes that the politicians don’t want to discuss: the role of labor unions — which boost costs and make it harder to get anything done, especially off-hours. As Politico reported last week embattled city Housing Authority chief Shola Olatoye has been trying to win more labor flexibility, albeit with no backup from City Hall. Soon after taking over in 2014, she sought common-sense changes to work rules that have maintenance staff and other skilled workers on the job exclusively from 8 a.m. to 4:30 p.m., Monday to Friday. But the Teamsters vetoed her plan for staggered shifts. One result is the agency’s huge overtime bill, which (for example) leaves its plumbers as some of the very highest-paid city employees — five of the top 10 OT earners these last two years. The 2016 overtime king was NYCHA plumber Vincenzo Giurbino, who took home an added $228,000 atop his $141,152 base salary. Other perks add up. For example, the Teamsters Local 37 contract gives 7,635 ­NYCHA workers paid time off for holiday shopping and, in many cases, shortened summer workdays. The unions is also fighting Olatoye’s effort to use private companies for emergency boiler repairs. 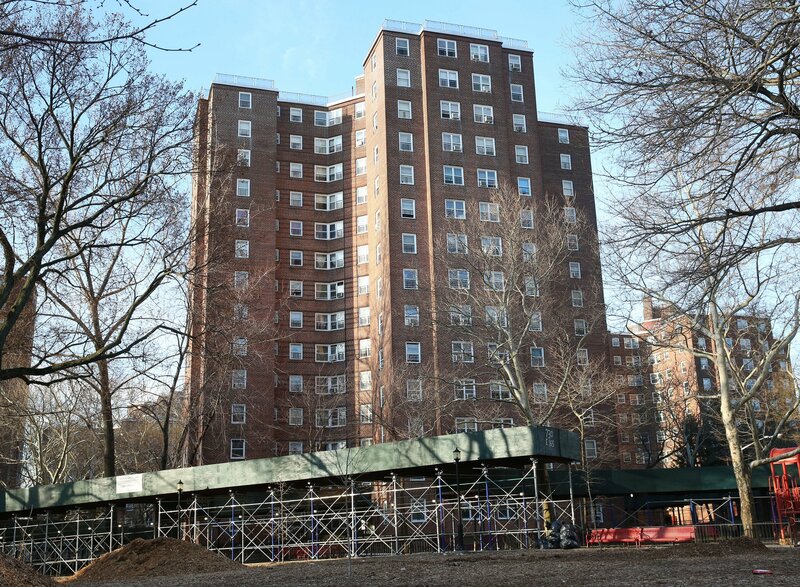 Olatoye wants to tackle some of these issues when NYCHA’s Public Labor Agreement with its 30 unions is up for renegotiation in June — though her goals might take a back seat to an unrelated push for more public-housing tenants to get NYCHA jobs. These issues also cloud the agency’s hopes for savings by getting design-build authority from the state for larger projects. DB cuts allows the hiring a single contractor for both the design and construction phases of a job, cutting out a host of middlemen and other inefficiencies. But the state Senate so far refuses to grant DB to NYCAH (or to ante up any new funds for it), while the Assembly is insisting that DB powers be coupled with a special Project Labor Agreement. Generally, a PLA adds 10 percent to labor costs, which eats up a good chunk of the savings from design-build. But the state has required PLAs whenever it allows DB — because otherwise unions lose “too much” of the power granted them by the state Wicks Law. Wicks requires public projects to reach separate agreements with every subcontractor on a job — which lets every union hold out for more with the threat of scuttling everything. But for all Gov. Cuomo’s recent posturing on NYCHA, don’t expect him to do the right thing: He finds it impossible to say no to the building-trades unions.